There’s a jungle inside Vietnam’s mammoth cavern. A skyscraper could fit too. Hear author Mark Jenkins and National Geographic’s Boyd Matson talk about what could be considered the largest cave in the world, the 2.5-mile Hang Son Doong, or mountain river cave, along the Vietnam-Laos border. Is it the World’s Biggest Cave? More than three times the height of Niagara Falls, much of Vietnam’s Mountain River Cave has remained untouched by humans until now. 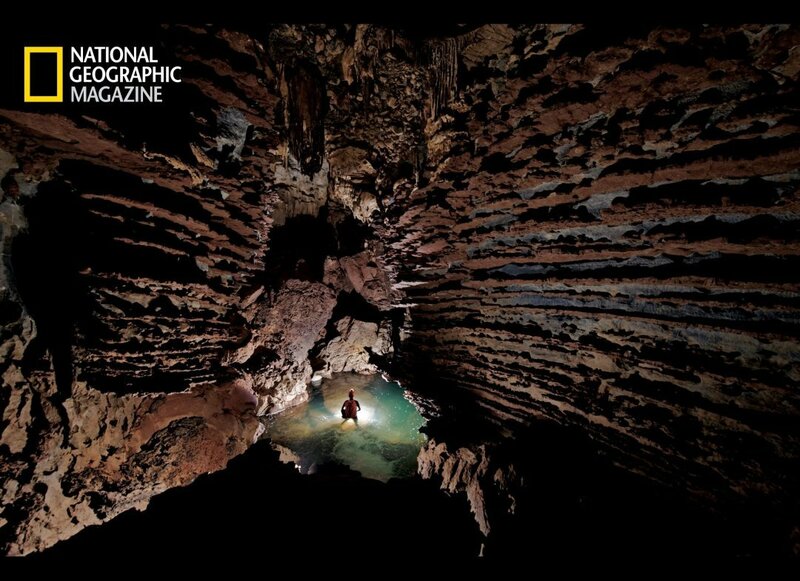 With exclusive footage, NGC reveals, for the first time in history, astounding evidence that this could be the largest cave in the world. Together with renowned expedition leader Howard Limbert, cave geologist Darryl Granger uncovers the formula for how the cave grew so grand.